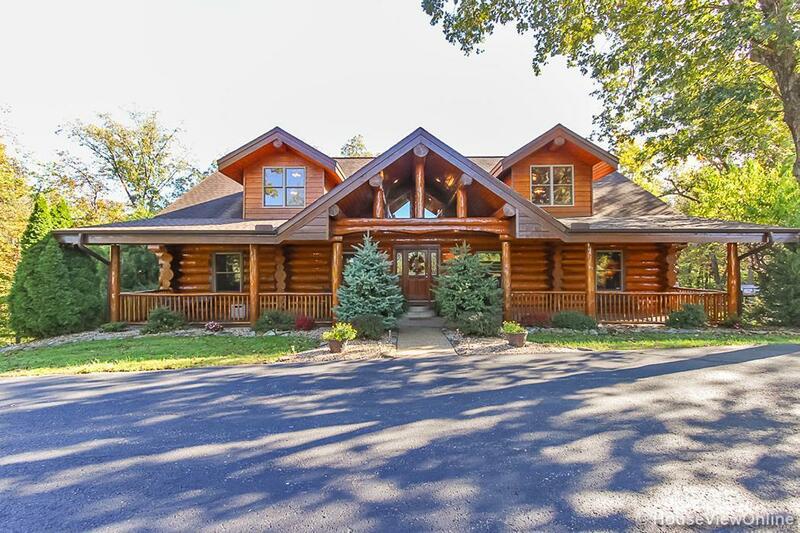 Magnificent Log Home sitting on 2.26 acres just behind County Park South in Cape. 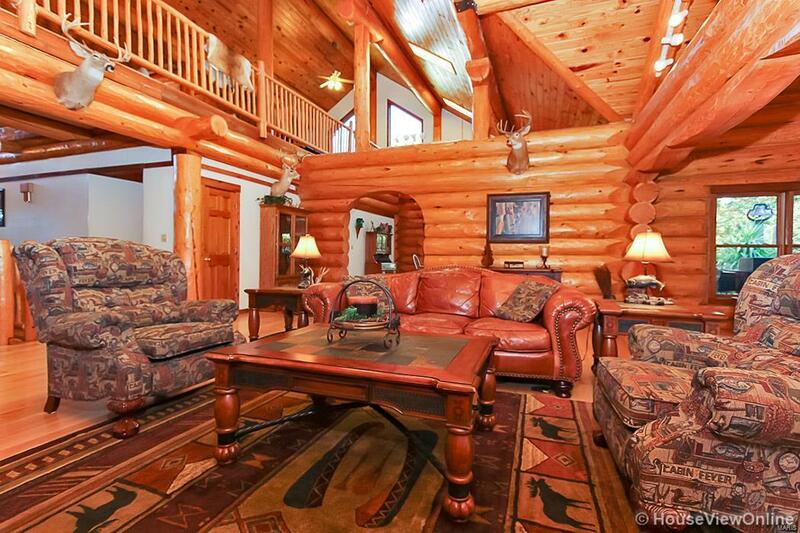 The main level features massive log walls in almost every room & impressive hand hewn log stairways. 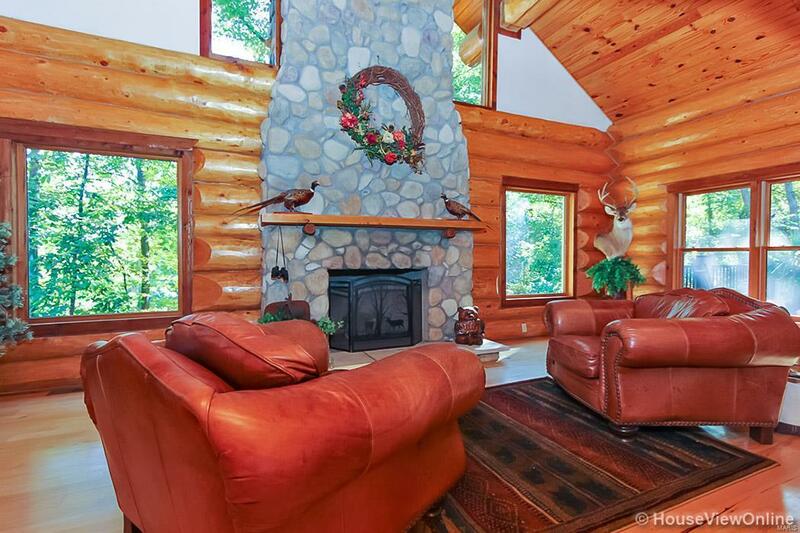 The great room features a massive stone fireplace & large windows on either side offering a treetop view. Large welcoming eat-in Kitchen with corner fireplace. New stainless appliances & new quartz countertop. 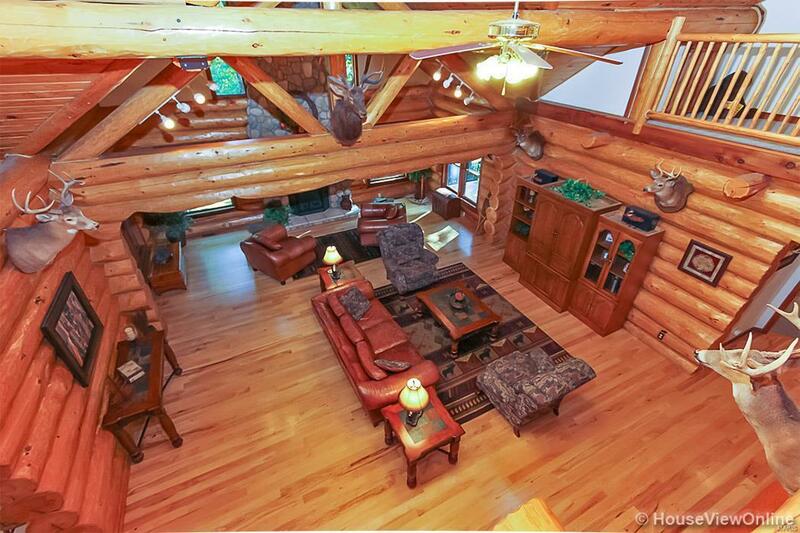 3 bedrooms & 2.5 baths on the main level. The loft features a nice guest suite with open play areas & lots of storage nooks. Don't miss the secret hideaway or the log ladder hidden below the secret escape hatch! The lower level is a sunny walk-out featuring a huge stone fireplace with insert, 2nd kitchen, large family room, impressively large legal bedroom & private bath with stone & rock shower, and a cavernous storage room. The heated & cooled 3-car garage is also on this level. Additional acreage with 2 stocked ponds & 4 wheeler trails available. Sellers are open to trading for a smaller home.